Researchers have been making alarming discoveries about dairy products. When my in-laws moved from India to the United States 35 years ago, they couldn’t believe the low cost and abundance of milk – until they developed digestive problems. They’ll now tell you the same thing I’ve heard a lot of immigrants say: American milk will make you sick. It turns out that they could have been on to something. 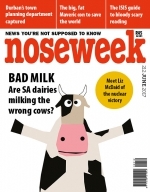 An emerging body of research suggests that many of the 1-in-4 Americans who exhibit symptoms of lactose intolerance [as do many South Africans] could instead be unable to digest A1, a protein most often found in milk from the high-producing Holstein cows favoured by American and South African industrial dairies. The A1 protein is much less prevalent in milk from Jersey, Guernsey, and most Asian and African cow breeds, where, instead, the A2 protein predominates. 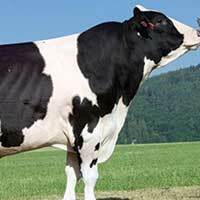 I wrote to a friend of mine who runs a Holstein herd in the UK. She said the article is old news in the UK and the hype has died down. In addition she said most A2 milk is produced by Holstein anyway. Either it's the A1 protein that is the problem or they haven't noticed that Friesland is not a cow?